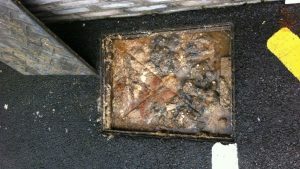 Blocked Drain Southampton FAST unblocking 24/7! Call 0238 184 9826! Is your drain blocked? Do you have an issue with your drainage? Is there a funny smell in your kitchen? Then call Blocked Drain Southampton TODAY! We are a 24 hour specialist drain service, operating in all areas of Southampton. Call Blocked Drain Southampton now on 0238 184 9826! Last week, when David found a foul odor coming from his bathroom sinks, he became concerned about the slow drainage of water so he called Blocked Drain Southampton. Signs of a blocked drain include: slow drainage, sewage entering your home, and flooding. Luckily for David, Blocked Drain Southampton was with him within two hours, and fixed his problem easily! Our drainage engineers are experienced with almost every drainage problem, whether it’s commercial or private, internal or external, kitchen or bathroom. We’re sure to be able to help, no matter what the trouble is! And, because we’re available 24/7, you know that we’ll always be available to help you out! Call us today for a free no-obligation quote on 0238 184 9826 – you can be sure that we’re always there to help! Blocked drain Southampton is your number one for fast response drains specialists in the Southampton and surrounding areas. With 24/7 coverage across all Southampton and bordering areas with no call out charge and no VAT to pay on any of our services, blocked drain Southampton should be the people you call when you’re in need of assistance regarding blocked and cracked drains, as well as blocked toilets, sinks, showers, at home or at the workplace. Call now! Here at blocked drain Southampton we’re dedicated to providing the best services possible to all of our customers across the whole of the Southampton and surrounding areas. We’re 24/7 so whenever you need drain coverage we’ve got your back, whether that’s right away or whether that’s at a time to suit you we’re always on hand to make sure you’re ready to get back up and running with your day after you’ve found yourself with damaged or blocked drains. Call us now and speak to one of our trained advisors today about all the fantastic services we have to offer, where we offer those service to, when we’re available to provide those services, and lastly how much you should expect to be paying for each of these services. Blocked drain Southampton deal with commercial, residential, and industrial sized drains and have got all of the services you need for any drain problem you may have. From drain jetting to everything to repair and diagnose drain issues and with over 20 years experience and all the tools and skills to make any drain issue a thing of the past blocked drain Southampton should be your number one port of call for all blocked or cracked drains in the Southampton and surrounding areas. We’re professional drain specialists so if we come out we’ll come equipped for all types of drains and drainage issues. When you call our lines you’ll be greeted by one of our friendly office staff who will guide you through the solutions to whatever drain issue might have and the costs that those services entail. Call us today and speak to one of our friendly people today and get your drains sorted now! 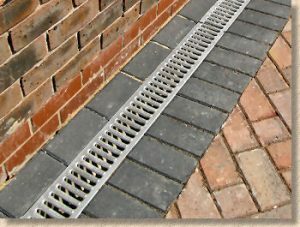 Blocked drain Southampton are your local go to comprehensive drains service for the Southampton and surrounding areas. With no call out charge our dedicated drains specialists will come out and sort your drains no fuss and no mess and especially no waiting. Because we’re operational 24/7 waiting for if and when you call us we can be out right away or at a later time to suit you whatever that time might be. Call today and speak to one of our trained office advisors now! Here at blocked drain Southampton we’re striving everyday to make sure there’s never a time in your life that you can’t get drain services in Southampton or the surrounding areas. We provide fast services with professional drain specialists taking care of any problem you may have whether you need your drains unblocking, re lining, or repairing we’ve got you covered. What’s more is call blocked drain Southampton today and speak to one of our friendly trained advisors and get a drain specialist to your home or your work, today you won’t pay a single penny in call out fees AND not a single penny in VAT to be paid either just one of the many ways we like to let you know that when you come to blocked drain Southampton your money goes the furthest it could go. Blocked drain Southampton are your umber one for drain services in and around the Southampton area. We’re quick to respond to any emergency or non emergency drain issues and can be with you in no time at all or a tie to suit you due to our hard working around the clock 24/7 office team and drain specialists working 365 days of the year to ensure you always have someone to count on to sort your drain problems and make them a thing of the past, today! Blocked drain Southampton has over 20 years experience and all the tools to make sure your drains are running smoothly again. We’re ready to help if and when you need us at all times. What’s more is that blocked drain Southampton is competitively priced. As well as that call today and don’t pay any VAT and don’t pay any call out charge. If you need to speak to a professional today don’t hesitate to call the team at blocked drain Southampton about all the fantastic drain services we can provide including drain jetting and CCTV drain surveys. Call now and speak to someone who cares about drain today! 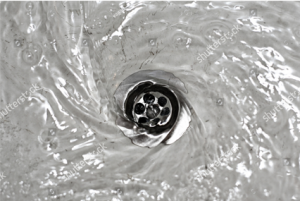 Blocked Drain Southampton offer genuinely low fixed rates, and with no additional call out fees or hidden costs you’ll always have a clear idea of how much you’re paying beforehand no matter how long it takes to complete the job. It might seem easier and cheaper to try and fix the problem yourself, but this often leads to additional unnecessary problems that are more expensive and more damaging, which is why we recommend calling Blocked Drain Southampton for a drain engineer you know you can rely on. We believe that prevention is the best solution which is why we always use the very latest technology and preventative methods to ensure that clients like David are not faced with the same problem again, saving both time and money. So if you need an emergency drain engineer, call Blocked Drain Southampton today and speak to our trained advisors for help and guidance, as well as a free no obligation quote. If you’ve spotted a problem with your drains, call Blocked Drain Southampton. Perhaps you’ve found a bad odor coming from the sink, or maybe the water in your toilet is rising. Whatever the problem, it’s important that you call Blocked Drain Southampton as soon as you spot the warning signs of a blockage, as it may escalate into a bigger and more damaging problem. Our team of friendly, reliable drain engineers are fully equipped to tackle any task and have years of experience in the industry, so you know you can trust us to restore your drains to the highest quality. Last week, when Linda found that the water in her bath wasn’t draining properly, she called Blocked Drain Southampton. We were able to respond to her call within 2 hours and, using the latest technology and preventative methods, her drains were back to normal in no time at all, leaving her to get on with the rest of her day with minimal disruption. Blocked Drain Southampton offer genuinely low fixed prices at hourly rates, so you’ll always know just how much you’re paying beforehand regardless of how long the job takes to complete. It may seem easier to try and fix the problem yourself, but more often than not this leads to additional problems that are more expensive and more damaging, which is why we recommend calling Blocked Drain Southampton. Our team of professional, dedicated drain engineers come highly recommended from clients both past and present. So when Linda called she knew that she could rely on us to provide her with the best service for the best price. We believe that prevention is the best solution which is why we always use the best preventative methods to ensure that you are not faced with the same problem again, saving you time and money. So if you need an emergency drain engineer, call Blocked Drain Southampton today and speak to one of our trained advisors for help and advice, as well as a free quote. We know what it feels like when you discover a blockage, it can leave a bad smell and sometimes it’s a pain to get someone to sort it. 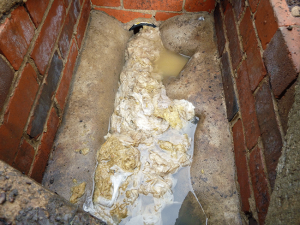 We also know that blocked drains tend to turn up at the worst times financially. That’s why we thought it’d be useful to tell you about how you can help prevent a blocked drain and then a call out. We’ll start with internal blockages, these are your kitchen sinks and your toilets. To prevent a blockage you need to know what causes one, the most common cause of a kitchen sink blockage is build ups of fats and oils and for toilets the most common culprits are sanitary products. All of these are avoidable and you can actually go a long way to prevent a blockage by just being careful when disposing of these things and avoiding the temptation to flush them down the toilet or wash them down the sink. External drains are a bit more difficult this is because the main causes are piles of leaves and tree roots and these are natural and therefore much harder to prevent. Not to worry, as we don’t just unblock drains! We also clean and maintain your drains using a rotary mechanical drain cleaning system, one of our technicians will insert a spring with a cutting arm into your pipe and as it goes along the machinery will clean and descale your pipes in the hopes of returning them to their original diameter. Call us today and speak with one of our trained advisers about what we can do for you today! If you’ve got a problem with your drainage systems, call Blocked Drain Southampton today. Our team of dedicated, professional drain engineers work around the clock 24 hours a day, 7 days a week, so there is always someone ready and waiting at the end of the phone to answer your call. We understand the stress that a blocked drain can cause, and we view your satisfaction as our top priority which is why we provide every customer with the very best service at the best prices. Blocked Drain Southampton offer genuinely low fixed prices at hourly rates, so you’ll always know just how much you’ll be paying regardless of how long the task takes to complete. Most jobs are completed within an hour, and with a response time of 2 hours we can guarantee that your drains will be taken care of quickly and efficiently, leaving you to get on with the rest of your day with minimal disruption or fuss. Blocked Drain Southampton have years of experience in the industry, and come highly recommended from a wealth of clients both past and present so you know you can rely on our team to give you the highest standards of work. It may seem easier to try and fix the problem yourself, but this can often lead to additional unwanted problems which in turn leads to more damage and more expense, which is why we recommend calling Blocked Drain Southampton to speak to a trained advisor for help. We believe that prevention is the best solution, and while some blockages are inevitable we always use the very best preventative methods to ensure that the problem does not happen again, saving you both time and money. So if you need an emergency drain engineer, or if you want some friendly help and advice, call Blocked Drain Southampton today and speak to a member of our team to get a free no obligation quote. Everything we provide is top notch and Blocked Drain Southampton are here to answer your call at any time. We are proud of the clearance work we do as we know it helps our customers get back to the important tasks that await them. With years of experience and expertise within the drainage industry operating as a private, local, non corporate owned business. The team take great care and pride in each and every job, whatever the size or situation and ensure all of our work is carried out to the highest standard. Services are available all year round 24/7 with competitive, affordable and fixed pricing. You can call also to get quick assistance with regards to flooding situations, burst pipe disasters and much more. 24 hour availability for emergencies is a given, and part of the great customer service principles we hold, although, of course a full array of regular services is also available, quickly, and at your convenience. Here at blocked Drain Southampton we take customer service very seriously, over the past 20 years of service we’ve seen many businesses start up and then close because they just weren’t serious about customer service. We’re not referring to the same customer service you’re thinking of with the buzzwords and jargon and 3 pages of lies on a corporations website about how they treat their customers better than any other company, then throw all of that out when you start reaching for your pocket. We think this is terrible practice and we’re glad that no one has been able to get away with it for long on a small scale. Customer service to us is making sure you go that extra mile to ensure your customers time using your business was as painless as it could possibly be. We’ve even heard of businesses charging customers more based on where they live, which we think is despicable. 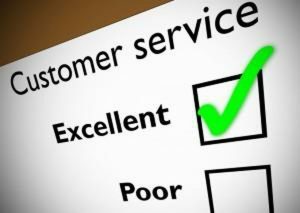 We take an active approach in ensuring our customer service is the best it can possibly be. We do this by offering our customers the opportunity to speak to one of our trained advisors over the phone on our phone ines that are open 24/7 365 days a year. Just one of the ways we actively show our customers that we care and that we’re not just saying it! How can a blocked drain Southampton drain survey help me? Many who come to us are unaware of what happens during a drain survey or how an inside CCTV check can help them. Both for residential needs and requirements as well as for commercial use. A drain survey by your blocked drain Southampton specialists will provide you with information and insight into the problem that you are investigating. With new technologies and far reach state of the art equipment. A drain survey from our experts will cover your every turn and corner inside of your pipes. A common issue that a blocked drain Southampton expert is hired to do a drain survey for. Is recurrent blockage issues and persistently slow drains. In such cases, where an issue keeps taking time from your day to day, the understanding workers here understands your frustration. We understand well that you have better and more important things to spend your time on than to resolve the same issue over and over again. Speak to the blocked drain Southampton technicians here now. A simple phone call and a few minutes of your time to find the expert help you need to resolve your drain issue. After the cause of the issue has been located, a plan can be made and put into action. One in which were blocked drain Southampton helps you resolve a difficult reoccurring issues once and for all. The spot light operation and the surgical precision brought by our clog clearing experts will leave your drain health in the best condition possible. With guarantees and with a friendly approach. Your local blocked drain Southampton are the ones to ask in times of need. Other plumbing solutions and drain clearance services are also available at times that suit your schedule. Feel free to give us a ring any time you like. Blocked drain Southampton Offer a 24/7 365 day a year service and we’re very proud about it too, we work tirelessly around the clock to ensure no one is left with a blocked drain in Southampton and we make sure the people of Southampton always have someone to call about a blockage, whether that be a toilet blockage or a sink blockage or even a blocked drain. We don’t strictly clear commercial drains and we would certainly never turn our noses up at a job for being too small. We have the appropriate pricing and tools for any blockage you may have, at home or at work! Just call our lines today and you can speak to one of our trained advisors about our 24/7 service that covers the whole of Southampton for blockages of any sort. Not only that, but if you’re in an emergency, we can get to you fast. Call us now and one of our trained advisors will be able to guide you through your call in a matter of minutes, and we could send someone out before you’ve even put the phone down. Talk to us today and see what we can do for you in a hurry! Have a chat with Blocked Drain Southampton today, and find out how we can help you find the best solution for your current issue or help you set your current plans into action. Call us to get assistance with your slow running drains, indoors and outdoors, to get your bathroom leakages fixed, to have your pipes checked or to have your heating looked at. Trust us with your home repairs as well as to help your business get their plumbing system sorted. We are always surveying the industry market to make sure that we can bring you the best bathroom, kitchen, heating and plumbing solutions available out on the market now, together with the experienced and highly trained team you will be able to find the right solution for your needs. Nothing but well known and trusted suppliers are used for the spare parts and new installations with the relied upon Blocked Drain Southampton. To find that suitable solution fast, get in touch with us at this instant. We here at blocked drain Southampton have been doing this type of for 20 years and while our methods of fighting blocked drains have improved beyond belief, some things have stayed the same. We’ve tackle big external blockages on building sites and we’ve seen the smaller blocked residential toilet, we don’t have particular favorite, in fact we dislike them all. But over the years we’ve noticed a few things, about a particular kind of blockage and to us this information makes it seem like a lot of these blockages could’ve been avoided by the home owners being a little more careful with what they put down toilet. We know it’s probably not the best business model to be telling our potential customers how to avoid using our service, but our only business model here at blocked drain Southampton is to eradicate all Southampton blockages and we also think if we can do this before the blockages even form then we’re doing a pretty good job, wouldn’t you agree? So to know how to properly prevent a blockage we must first loom at what causes this type of blockage we should look at what causes this type of blockage, and when talking about an internal drain blockage toilets mostly get blocked by sanitary products and other stuff like paper towels and cotton buds which are all preventable. If your drain is already blocked, don’t fret it’s never too late to call blocked drain Southampton! All us as soon as you’re sure or if you’re not phone us anyway and we can help you. High pressure water jetting was first used industrial in the mid to late 1800s as a cleaning method in the mines, since then it has also been used in the steel industry for cutting steel but this was much later in the 1930s. To this day high pressure water jetting continues to be a reliable method of both cleaning and cutting recognised by some industries such as the fossil fuel industry, where it’s used to clean equipment and wells where other methods may prove difficult or even impossible. High Pressure Water Jetting (HPWJ) is cost effective. Whereas some methods of clearing drains require digging up pipe work HPWJ saves that hassle. HPWJ is better for the environment. As HPWJ uses only high pressure water Blocked Drain Southampton doesn’t have to throw a bunch of nasty chemicals into a blockage which end up in the sewer and ultimately somewhere else. HPWJ is not only for clearing blockages, it can also be used for drain maintenance, Blocked Drain Southampton recommend twice a year to reduce the risk of needing emergency unblocking. It’s not uncommon for people not to stop and consider their drains and it is easy to take for granted the important role they play in our everyday lives. Without a working and fully functional drainage system, we would be living in an unsanitary and uncleanly environment which most of us would not want to live in. You don’t have to become an expert on drains to understand their importance and to ensure that they are being properly looked after. By learning just a few simple facts, you can help to maintain, prevent and solve future blockage which in turn can save you a lot of time, money and effort- as well as being important to the environment. The tax payer pays out a large sum every year as a result of sewer blo ckages and these blockages are detrimental to the environment. By simply keeping a closer eye on anything going into your drains is the easiest way of helping to prevent a Blocked Drain Southampton and keep your pipes flowing freely. Here at blocked drain Southampton we know what it’s like when you’re trying to find a little bit of time and money to get those pesky maintenance jobs done, and if you let them mount up you could feel stressed out. We’re here to take some of that stress away, as far as blockages go anyway. We appreciate that blocked drains and toilets can come at the worst times financially, but blocked drain Southampton can’t stress enough how important it is to unblock your drains as soon as you’r able to, to avoid more damage and more work and more cost at the least. That’s why we’re here for you and why we stay open 24/7 365 days a year around the clock, it’s because we know you’ll need someone to come in and take care of your drains when you’re free and not busy, rather than when we’re not busy. All of our team are trained drain specialists and will always have the right equipment and knowledge for the job. All of our office staff are trained to so they know what they’re taking about, and also know how to make your call as quickly as possible so we can get someone out to you as soon as possible. Call us up today and see what we can do for you! To help you undertake preventative measures to stop a blockage from happening in your home or place of work, it is vital to know what causes them. So call us now to speak about the causes or your bathroom refurbishment, your underfloor heating solution, your business drainage situation or anything else that might worry you. 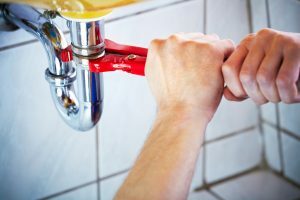 A flexible Blocked Drain Southampton worker is always here to assist you and shed light on the work and products that makes most sense to your current plumbing solution. We’ll be on our way to your location as soon as we take your call should it be urgent. Of course you can call with your quotation requirements, and you can always rely upon the fact that Blocked Drain Southampton keep prices down for you. Our solutions are always guaranteed, and we work for long life repairs as we work for long term customer relationships which are based on merit and the tradition of providing nothing but the best service. A little while back the only way to find a blockage and unblock a drain was to take a part the pipes by ripping them up, which could also mean ripping up your garden. Luckily we live in the future, and in the future the best way to unblock a drain is to use CCTV surveying equipment. This equipment removes the hassle of ripping up your pipe and or your garden by letting our trained technicians see in the pipes without this being necessary, which makes life a lot easier for us and makes the work a lot cheaper and less tome consuming for you! Discovering cracks and splits in pipe work, which can spread disease leave bad odours and even attract vermin. If you think your drain is blocked and would like us to take a look at it using our CCTV surveying equipment you can call our lines that are open 24/7 365 days of the year. And if you have any other questions regarding any of our other equipment or about any of the other services we offer then don’t hesitate to call. We also provide an emergency call out service so if you have left it too late we can still save you and your home. Call today and see what we can do for you! Southampton has a thriving student community and students are focused on their studies and having a good time. As they rent out their student accommodation, many don’t think about the daily upkeep of their home, perhaps even taking for granted the fact that their landlord will help them with everything. But if your drains are blocked and it’s found to be your fault as the resident, then you may have to be the one that pays to fix it! That’s why we’re going to give you some handy hints to help keep your student digs flowing properly. Never let food go down your drains! Oils, fats, rice and coffee grounds are the worst offenders here. They flush down your kitchen sink with ease, but once in your pipes they quickly solidify and form a smelly cement which is incredibly hard to remove. Thankfully if you face this problem then Blocked Drain Southampton can help, our engineers can flush out any blockage no problem with our high pressure water jetting equipment! But this can only be done by the professionals. Only flush toilet paper! 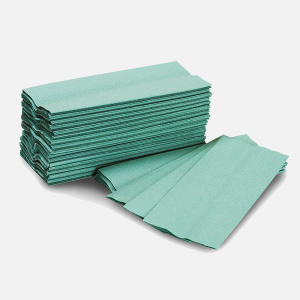 Sometimes students run out of loo roll, and think hey, this kitchen towel is similar enough, I’ll just use this. This is an easy but fatal mistake to make! Kitchen roll, baby wipes, sanitary towels – all of these are not designed to be flushed down the toilet and will cause severe blockages. So make sure that you stock up on toilet paper, and if you run out then a quick trip to your local shop will save you a much bigger issue down the line! Clear out your shower drain! While this one sounds obvious, many shower drains get extremely clogged from buildups of hair which mixes with shampoo and the like to form a slimy, solid blockage. Simply cleaning out your shower drain once a week can minimise the problems this causes. For more tips explore our website!